AstraLogik is a series of circles…an eternal bond between two singers, entwined with listeners, and interlaced with the realms of physical reality and the spiritual unknown. These indestructible circles are crafted by the resounding principles of love and self empowerment that every being deserves and is entitled to.​ They are forever seeking to stimulate conversation between the many dichotomies that exist in the act of being. They want you to be an intricate part of the conversation. AstraLogik is a creation of two human beings who experiment with their music the same way they do their identity. Both queer and in a deep relationship with one another romantically and creatively, they create a conversation using different genres till they can find a sonic agreement through various instrumental mediums. Whether it’s reggae, soul, world, electronic or r&b, their is music filled with the intention of healing, awareness, and equality. In April 2015, they launched their first EP called “DREAM AWAKE”. This project is a collaboration with singer/songwriter/producer, Tim Atlas (finalist in The Voice). His production style proved that AstraLogik’s songwriting can evolve from just guitar & vocals, helping them stretch the boundaries of boxed genres that many artists often feel confined to. It has already proved to affect and inspire many listeners from near and far as their tribe of supporters continues to grow. 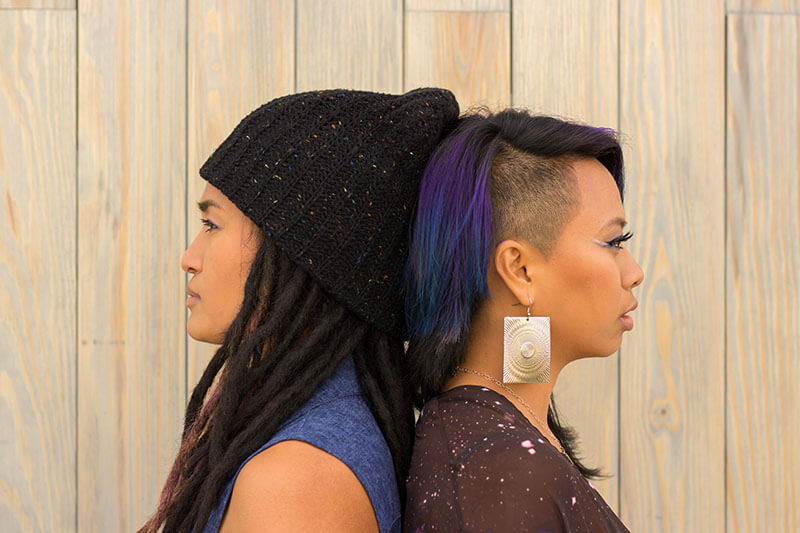 AstraLogik has brought their messages of unity and activation to grassroots community organizations, festivals, and a variety of venues throughout the Bay Area of California, and are spreading their intentions of Self Empowerment, Compassion, Struggle, Growth, Peace, and Love through the vibrations of their music. In addition to their mind-awakening songs, AstraLogik’s passion lies in empowering social change and sharing their journey in remembering heart, engaging the mind, and reinvigorating the belief in ‘good things coming’. If you love our music and message, we always appreciate donations to get our positive vibes out to the world.